The mid-range Deore series takes know-how from top-line Shimano® components and puts it in affordable packages. Crank arms are painted aluminum. Crank axle is plated steel. Outer ring is anodized aluminum. Middle and inner ring are painted steel. All fixing bolts are stainless steel. Recommended chain stay length: 420mm. 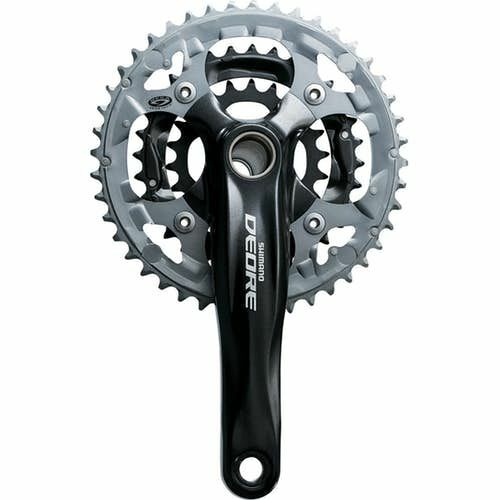 Compatible with Shimano Super Narrow HG for 9 speed chains. Shimano SM-BB51 bottom bracket included.